The next best thing to putting your customer’s name in lights is putting it in an email personalized just for them. This custom feature helps you do that and more. 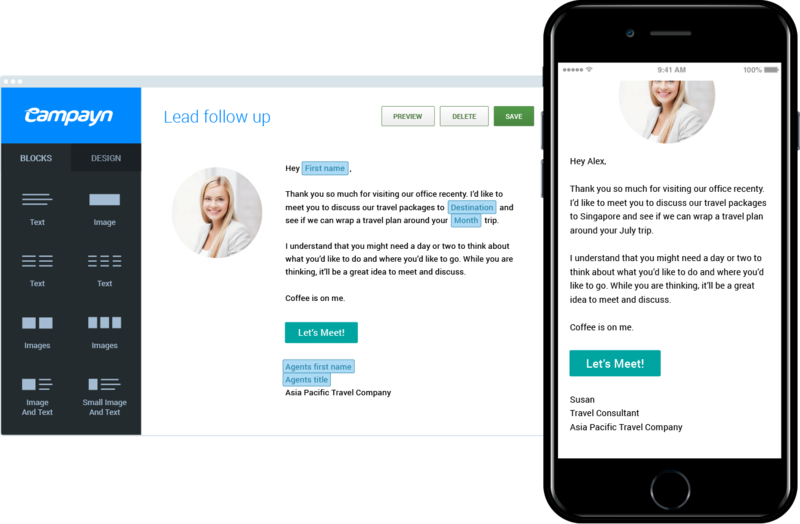 Not only can you personalize the email to your customer, you can personalize it from a specific person on your team. So, say goodbye to generic emails. It’s time to get personal.